In the UK, we have a derogatory term for newspapers: chip wrappers. No matter how good, today’s front page wraps tomorrow’s fish and chips. Bloggers can relate. You slave for hours to write a stellar article that bursts into the limelight for only a few days, or even hours, before it’s forgotten. Readers who find you this week won’t know what you wrote last week, much less last year. It’s tough to feel like even your best work is destined to become nothing but a chip wrapper. You may find yourself longing for the good old days when artists had plenty of time to produce their masterpieces, and audiences took their time to appreciate them. Write a good symphony, novel, or sonnet sequence and you could dine out on it for years to come. If only the modern world weren’t in such a perpetual hurry, chasing after the next quick fix. Tell that to Johann Sebastian Bach. To us, Bach is one of the giants of classical music, having produced a body of stellar work that his fans never tire of listening to. His music has been performed and recorded countless times. The present day interest of audiences in “old” music is a comparatively new phenomenon. Throughout the 17th and 18th centuries, audiences were interested only in new music and kept composers busy producing new pieces for their next performance. Bach spent several decades writing an average of 20 pages of finished music a day. Tyler Cowen points out that it would be hard for an experienced copyist to match this rate of production. In other words, it would be difficult to just copy out that much sheet music accurately, never mind composing it. Yet far from being a hindrance to the great composer, this kind of productivity was actually an advantage. In Creativity: Beyond the Myth of Genius, Robert Weisberg discusses statistical research into the proportion of masterpieces to minor works among great and not-so-great composers. The researchers concluded that the rate of hits to misses was pretty constant between major and minor composers. The truly great composers produce more masterpieces than the others, mainly because they produced more work overall. What distinguished them was not effortless genius or leisurely perfectionism, but relentless productivity. 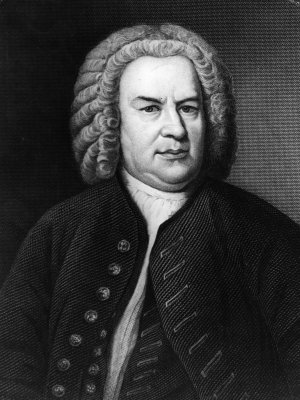 Bach wrote more than 1,000 musical works in his lifetime. We don’t accord them all the same reverence, but we should be grateful for every single one he wrote — because if he had cranked out fewer journeyman pieces, we’d have fewer masterpieces to enjoy. We also wouldn’t have a handy role model from whom to garner some essential tips for producing masterpieces. Here are seven lessons you can learn from Bach, to keep your content marketing from being tossed aside like used chip wrappers. Bach was a hired musician, but he approached his work as an artist. He knew that the best job security — and chance of immortality — came from having the highest standards. Don’t think of yourself as a “blogger.” Think of yourself as a writer. And an artist. Write the very best you can, every time. Writing consistently well requires quality writing time. Make sure you’re spending the most productive time of your day on your writing. That means getting into a daily and weekly routine that supports this. It also means having productivity systems in place that take care of all the day-to-day tasks, so that it’s easy to forget them during your writing time, and focus 100% on your work. When every article you write fits into the big picture of what your blog is about, and takes you one step nearer your long-term goals, then it’s easier to accept that that particular article won’t be in the limelight for long. This means taking time out to (re-)evaluate the strategic direction of your business, and making sure everything you write for your blog is aligned with that. There’s a (brief) time and a place for newsy, topical pieces, but if that’s all you’re writing, you’re producing nothing but digital chip wrappers. Write articles that will be valuable, searchable and relevant five or even ten years from now. That way your blog will continually grow in value over time. It also makes your job as a writer easier, since you can keep linking back to earlier pieces and reintroducing them to your readers. Clearly, he didn’t mind repeating himself — with variation. Make a virtue of the fact that not everyone in your audience has read everything you’ve ever written. After you’ve been blogging for a while, look back at your archives and ask yourself what themes are right for revisiting. Chances are your thinking will have changed a little since you wrote those early pieces. You won’t be regurgitating, but revising and extending your ideas. You can also link to those posts, which will both boost your traffic and give your new readers a chance to enjoy your previous work. This would certainly not have been considered plagiarism, since it was accepted practice for composers to compose variations on themes from past and present composers. Blogging thrives on cross-linking and cross-fertilization of ideas. It’s one big conversation, right? Other bloggers love it if you pick up one of their themes and riff on it, offering complementary thoughts that extend them in a new direction. You’ll also get the side benefit of seeing other people link to your own best blog posts. Make your feed reader your Muse from time to time. Just don’t forget to link! A great way to repurpose your content within your blog is to create cornerstone pages. But don’t stop there — blog articles can become the basis of e-books, books, videos, podcasts, live seminars and e-learning programs. I’ve lost count of the number of people who have paid me good money to tell them things in person that are available for free on my blog. Each time you change the format of your ideas, you make them fresh and relevant for a new audience. The historical record shows that Bach was very focused on earning money and building his reputation. But I defy anyone to listen to his work and tell me that he didn’t love music for its own sake, or that once he sat down to write and got into the flow, he wasn’t transported into another dimension. Goals are important, but set them aside for a moment. Forget about “why you’re blogging” in terms of outcomes, and focus on why you chose blogging writing as a means to achieve your goals. Surely it was because you love to write, and the idea of writing for a living is a dream come true? Well if that’s the case, remember how lucky you are to have this opportunity to do what you love, today. What a great advice. It really relates to your self-confidence too! And it also comes down to your mindset. This is so funny lol! Some may be tempted to do this! And the way you wrote this is so funny. Bach’s 6 Brandenburg Concertos were among the greatest baroque compositions. He wrote them by way of a job application to the Margrave of Brandenburg. Not only did Bach not get the job, the good Margrave never even had the music played. The manuscript was placed in storage where it was found a hundred years later. Bach probably never even heard his masterpieces played. I really appreciate how you ended that by labeling us as writers instead of bloggers. The blog is just the empty canvas. I think that by re-purposing content (which is something that Copyblogger does like a real pro- and for good reason) and as you said, staying with your overall purpose, your content does not have to live for just a few minutes. I think that there are too many bloggers (ahem), I mean writers that just start writing without a niche in mind. This is where people get into trouble and lose readership fast. Bach was a composer and that’s it. Bach didn’t sell cars, books, and speaking engagements. Bach didn’t quit composing one day and then went out and tried to sell Herbalife to all of his buddies. He stuck with music no matter what. He began with the end in mind (to shamelessly borrow from Stephen Covey). It’s the productivity part that I relate to the most. I used to think I needed time to rest, to let ideas ferment before writing, but I was just being breative with my excuses for not sitting down to write. Gone are the days I thought I’d write one masterpiece, make it big and get to write for a living. I can write for a living now as long as I’m not lazy about it! He began with the end in mind (to shamelessly borrow from Stephen Covey). Joshua, don’t worry about borrowing from Covey – he shamelessly borrowed that line from Aristotle. I like how you started it…Think yourself as a writer not a blogger. Lately, I have been making that shift. Mentally it makes you perceived as a professional. Someone with authoritative. Thanks for putting this together and sharing it. Goodness, I wonder what will happen to all these masterpiece blogs in years to come. I wonder how they will be presented and whether they’ll enjoy the notoriety of a master’s classic as we enjoy Bach. Hey Mark, this is a seriously good article. There’s so much detail focused “how-to” stuff on blogging, it’s really refreshing to get some high level strategy on how to do writing that matters. Love the Bach comparison – love the ideas. Thank you! You’ve provided a ton of useful information here, Mark. I particularly like where you say to think of yourself as a writer, rather than a blogger and to think of your writings as articles and not as posts or blogs. That’s exactly what I’ve done since day one of my site. If you self-identify as a writer, rather than a blogger (IMHO) your writing will reflect the seriousness you take and you will automatically write for quality, pillar content that solves people’s problems. As a musician and writer it is inspiring to reflect on Bach’s life and massive compositional output. The pace of his composing is hard to comprehend. Relating a master composer’s work to blog writing provides me with encouragement to make sure my posts provide lasting value. Also, I like the idea of viewing blogging as an art form. It is good inspiration for writing meaningful posts, and for developing a unique writing style. @Mark, I’m a big fan of #7. If you think of your textual blog posts as sheet music, it makes sense to go the next step and throw some audio and video into the mix. Sheet music is fine, but the melody of sight and sound is more pleasing to the senses, no? I love how you pointed out that creating a masterpiece involves being productive not being a genius or perfectionist. This can be applied to anything not just writing …it definitely puts ‘what you do’ in perspective to produce the best for your audience. With a now 6 month old baby in my care daily, it’s been tricky to try to find my balance again between my art and other stuff, other stuff winning out usually. But I’m going to get back to it, thanks to inspiration from you guys through this, and from my dad who just sent me like all the success.com stuff from Rohn, Hill and Ziglar. So it’s back to doing a painting a day! Trying to at least. We’ll see. Mark…great stuff. I think what most companies don’t get is that their content marketing needs to be remarkable, different and serve a higher purpose. If your content is the same as everyone else’s, are you adding to the conversation or just creating noise. Mixing chip wrappers and Bach, now that’s creative. Good rephrasing of solid advice, with a couple of pointers that I hadn’t considered. Thanks Mark! “relentless productivity” – that’s great. I wrote it on a sticky! Great lessons from Bach. For me #1 is powerful, where you say consider yourself an artist and not a blogger. Thank you for sharing great information. It’s no wonder that I love Lateral Action. I have used a few trees, printing out articles like Brian’s “Guide to Becoming a Creative Entrepreneur”. It’s in the loo, where I do my best re-reading! Mark, this post will join the others on my bathroom reading stand. That’s the highest tribute I can pay you. Thanks for a great article. Thanks Mark! Like Lucy said, this article shines as a masterpiece on it’s own. “Play it again Johann!” sure got me laughing. #6 is huge for me. That’s why I’m here soaking in all these brilliant insightful words. This will be read for years, not days. I love looking at the archives here. Sonia put together a great free course I’ve been taking – Internet Marketing for Smart People. It taps in to the treasure trove of articles written here these past years. Excellent! As the new saying goes… “Content, content, content” – is not only true for building a brand online for people to connect with you, but also means that the more volume of content you produce the greater your likelihood of creating something great. Love this article! Thanks so much for the rich content you packed into this post, thus illustrating your point to create timeless material as a writer and not just as a blogger. I also appreciated a reminder to not just focus on newsy or timely pieces – a ready temptation because those pieces gets attention. I also loved the words “relentless productivity,” emphasizing persistent quantity of writing that can lead to the production of quality. That’s a great challenge to each of us. This was an excellent post. Many good and great writers quit because of the amount of time that you have to spend in writing and writing and writing. This was a great inspirational piece. Thanks! I like the idea that the more you actually publish, the more chances you give yourself to publish truly great pieces. Not only that, though, the more you publish… the more you’re writing and thus the better your writing will get, which leads to publishing greater stuff. Of course, I don’t take this piece of advice as an excuse to try to fulfill a quota of mediocre material, but instead to strive to be consistent. Since I’ve recently started a second blog, basically on just one subject, I’ve found that repeating yourself becomes almost inevitable. But it’s OK to do as long as when you do convey the same message, you do it in a *new way*. After all, repetition is the mother of all learning. And if something is important enough to say more than once, do it… just do it in a new way. That said… I don’t want to repeat the same message too much, which is why I’m striving to think more broadly and read more broadly so that my new blog remains ultra competitive and a joy to read. @ Shane – I know what you mean about multi-sensory engagement. Poetry works in different ways on the page or spoken aloud, so I guess it’s got content repurposing built-in! @ Daniel – If you can do a painting a day, your immortality should be assured! @ Joe – Yep, as @herdmeister points out, if you can connect your work with a sense of purpose, everything becomes easier and has a bigger impact. @ Steve – I’m honoured to make it into the Hall of Fame! @ Bamboo Forest – Yes, it’s no use churning out mediocrity – the challenge is to be creative AND productive (shamelessly borrowed from Brian. ;-)). Can you say remix. Remixing is common in modern music so it doesn’t surprise me that it was so in Bach’s time. Same for writers. Re-hashing previous articles, or portions of previous posts is not a bad idea. I see many top bloggers do this and it’s actually refreshing. Wow! Great post. I feel like my blogging and article writings are more that just valuable content – they are a work of art! Yes, I’d say so. Remixing sounds pretty funky for Bach, but I guess that’s what he was doing! Loved the article so much that it inspired me to write a “riff” on it for my blog at http://www.sybariticsinger.wordpress.com. The points you made for writers ring true for those of us slaving away in the classical music audition circuit. Thanks for such a motivating piece. Thank you for the well written and motivating post! Writing is easier and less expensive than in any other time in history, but I am always critical of my work: “not original, been said a thousand times.” Bach is a good example of why a better presentation/use of the same can become timeless. Copywriting often seems to be re-writing ads from 30 years ago. Mark, thank you for this. Some friends and I are digging into Deliberate Practice… as a way of life. I capitalize deliberate practice deliberately, for emphasis. We’re finding it very difficult to square the demands of modern living – modern employment – with it’s demands on fire fighting, with the ability to develop deep-rooted creativity. Because it’s not enough to work hard. Lots of people work hard. We’re finding you have to work hard at the right thing. Otherwise it’s a waste of time. I’ve made this point before, but never so well. Keep cranking out the tunes and you make masterpieces possible. In my opinion, these are some of the most powerful lessons you can learn as a blogger, writer, or any type of artist. Unfortunately, they’re also the lessons no one wants to learn, which is why there’s so much room at the top of the mountain. Climbing is too damn painful. Nevertheless, I really appreciate this one, Mark. It’s a superb post. We are bloggers, not to immortalized by our words, but to express ourselves frequently through a fluid medium, which I think is somewhere safely between chip wrapper and masterpiece. Thirdly, I have found it very motivating to remind myself that there are a lot of people who don’t know what I know! This was really driven home to me yesterday as I taught a half day seminar on SEO. I was asked to address a group of small business owners, who each had a business on the side that they wanted to ‘ramp up’ and get more web traffic. I was astounded to learn they had never heard of Digg or StumbleUpon or what a “long-tail keyword” was. I was blown away at what they didn’t know! But this knowledge really motivated me to continue to learn as much as I can, as there are many such folks out there who are thirsty for information which can help them achieve their immediate goal. As you mentioned, Bach wrote for patrons….he was paid to be creative, and while many bloggers can only dream of blogging for a living, it’s trying to maintain a standard of quality which will outlive its originator that should be the goal. @ Curtis – Yes, very often what’s ‘obvious’ to us is completely new (and valuable) to others. Teaching live is a great way to discover this gap – and learn to bridge it. I personally think that knowing why you do something and making sure it’s strong enough to keep everything inline is important. Step 4 is a great point. I try to add post “newsy” posts maybe once or twice a week. I didn’t want to be another news website. Mark, I committed #6 of this article, big-time, and ref’d back to you. I must admit, I do that a lot when I find topics of interest that are so well-written and memorable, as well as along the same lines of what I had in mind to write myself, I can’t resist. You were brilliant to use Bach’s work as an analogy; perfect. Why reinvent the wheel when, collectively, we do so well working as a whole with contributed tips, ideas, and methodologies? My article—based on your article— 🙂 is at http://bit.ly/beOW09. A blog is merely an outlet, the same as a book, a journal or a column somewhere. It’s all writing; a skill that takes practice. Which you only get from, well, doing it. A lot! No success comes overnight. Not online, not ever. When it comes to producing quality work (of any creative kind, really), you must first produce at all. And the more you produce/write/ship, the better it will become. The comparison to Bach was a brilliant show of how this is a fundamental principle, which hasn’t changed at all over time. I truly enjoyed reading your post. I love Bach and your reference to his style of work. All your points are great, I will make a habit of using them more often in my articles. I also agree with Rasmus that “no success comes over night”. Practice, perseverance and goal setting make us better. Thank you for sharing. I want to know more. Well done. Bookmark it! Come back and reread for variety. The many who have commented have given you the applause this piece deserves. I’m currently in the process of creating content and getting ready to go live with my website, hoping for it to take off with me adding great content. I feel it so important to create the best content for your readship, i have postponed launch of my site until i get the content right! PS. Great blog, love to read it…. @ Rasmus “A blog is merely an outlet, the same as a book, a journal or a column somewhere. It’s all writing; a skill that takes practice.” – Yep, nail on head. I needed to hear/read that – great line! This is a great article. As a musician I always marveled at how Bach had to produce such a volume of music and how amazing it was/is. Creative Genius is often the result of a lot of attempts; and Bach is the pinnacle example of this. Bach’s well tempered Clavier, a collection of pieces ot increase keyboard proficiency, is considered a masterpiece of writing; and yet it was created for the purpose of educating. The equivalent of a really good e-book in modern times that becomes an Amazon best seller! Your summary and comparison of his talents to modern applications was most excellent! Now I have to go and re-watch Bill & Ted’s Bogus Journey! Thanks! @ Joe – Thanks, from now on the Well Tempered Clavier will be my stock counter-example to those who say “Those who can’t, teach”! Great post, with some excellent points. I particularly like this key piece of advice. I think the quality of your writing can highly depend on the mood and time of day. For example, the most productive part of my day would be the morning. It’s best to identify when your strongest writing occurs, and play to these strengths in order to produce the best content.